Azinga Fuzile!!! Remember this name because it is destined for stardom. Those who were doubting him-and there were many- even admitted that the 21-year old left hander is a rare boxing breed. But no one can bear testimony to that more than Tshifhiwa Munyai who was bundled to the canvas three times inside three rounds and finally called a no mas. Fuzile and Munyai were contesting South Africa's Featherweight Super Four Series at Emperors Palace in Johannesburg on Saturday night. With Munyai boasting international experience amassed from his 32 bouts with just three losses-one of them to Scott Quigg for the WBA junior featherweight title- the eight- fight novice was expected to succumb within the distance. And Munyai had in fact predicted it to go like that dismissing the school going S.A. featherweight champion as easy pickings. But all his bold talk fizzled out in the very first round when he could hardly land a telling blow. Matters would become worse for him in the second round when he began to open up only to be nailed by swift straight lefts one of which dumped him on the seat of his pants. Munyai (28-5) was a beaten boxer right there and when he was decked twice in the following round the writing was on the wall. As the fight was beaten out of him he didn't want to subject himself to another embarrassment as he shook his head to the referee to indicate that he had had enough. 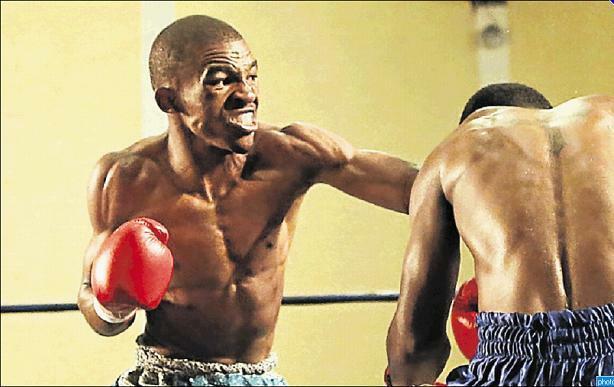 Fuzile (9-0, 4 KOs) will move to the finals of the series next February against another youngster Lerato Dlamini ,who upset former WBA champion Simpiwe Vetyeka, in another semi-final clash. The 36-year old Vetyeka looked his age as he was outworked and outhustled by the 23-year old to majority decision loss. I'm fact the judge who saw the fight even was generous to him against a marauding opponent who came to the fight with a modest nine wins and a single loss. However Dlamini had never faced anyone of note and the general feeling was that Vetyeka was going to be too much for him. But the fight proved to signal Vetyeka's exit in boxing with hopes of regaining the title he lost to Nonito Donaire all but gone. He had shocked the world when he retired Indonesian legend Chris John to wrest the WBA crown. But he never parlayed the stunning win to bigger things and the loss to Dlamini will likely earn him some sort of a one hit wonder stigma. In another clash Deejay Kriel was made to work harder for his majority win over late substitute Thembelani Okolo in their eight rounds mini-flywieght clash.